A new study has resulted in a novel statistical algorithm capable of identifying potential disease genes in a more accurate and cost-effective way. This algorithm is a possible approach for the identification of candidate disease genes, as it works effectively with less genomic data and takes only a minute or two to get results. This breakthrough has been reported by Professor Dougu Nam and his research team in the School of Life Sciences at UNIST. Their findings were published in Nucleic Acids Research on March 19, 2018. 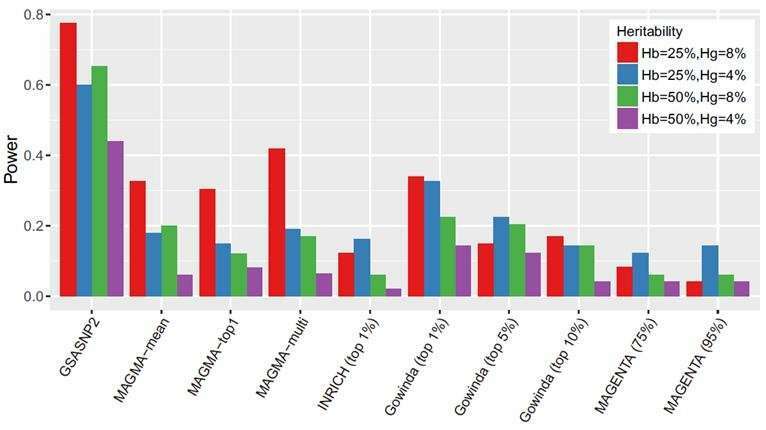 "GSA-SNP2 is a powerful and efficient tool for pathway enrichment and network analysis of genome-wide association study (GWAS) summary data," says Professor Nam. "With this algorithm, we can easily identify new drug targets, thereby deepening our understanding of diseases, and unlock new therapies to treat it." Each individual's genome is a unique combination of DNA sequences that play major roles in determining who we are. This accounts for all individual differences, including susceptibility for disease and diverse phenotypes. Such genetic variations among humans are known as single nucleotide polymorphisms (SNPs). SNPs that correlate with specific diseases could serve as predictive biomarkers to aid the development of new drugs. 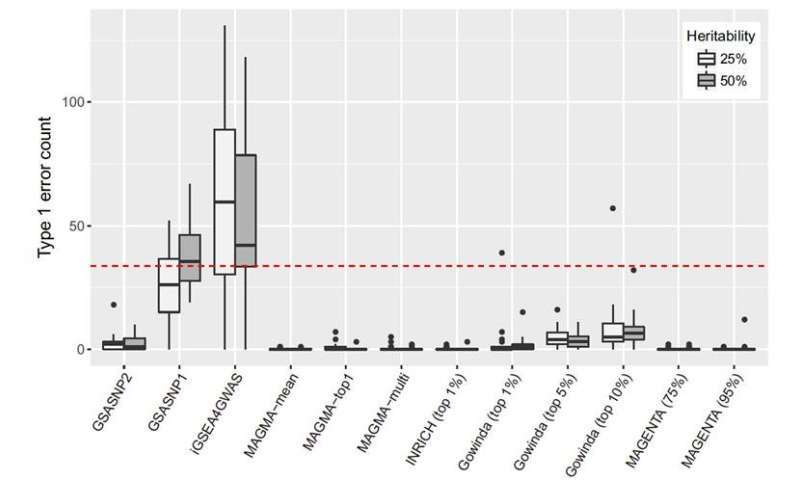 Through the statistical analysis of GWAS summary data, it is possible to identify the disease-associated SNPs. Despite the astronomical amounts of money and time invested in the statistical analysis of SNP data, the conventional SNP detection technologies have been unable to identify all possible SNPs. This is because most of the conventional methods for detecting SNPs are designed to strictly control false positives in the results. Therefore, among tens of thousands of genomics data and hundreds of thousands of SNPs analyzed, the number of markers described within a candidate disease gene often reaches several tens. The research team expects that their GSA-SNP2 is able to visualize protein interaction networks within and across the significant pathways so that the user can prioritize the core subnetworks for further studies.